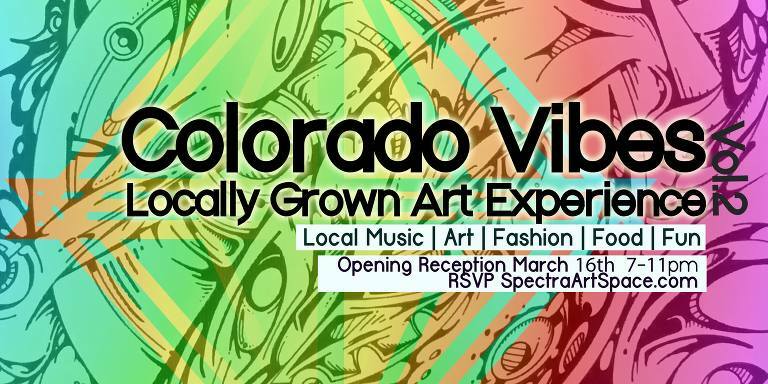 The opening reception for Colorado Vibes Vol. 2 was amazing. This was my first Colorado show and first official art show since college. What a high it was! I learned about Spectra Art Space through a class that my husband signed us up for – Glass blowing on Valentine’s Day weekend. It was an amazing class where we made these cute little glass hearts (we also made a heart pendant!). Well, while there, one of the gallery owners, Sadie, introduced herself to us and was so welcoming. One thing led to the next and then I found myself offering to teach photo classes at her space. She added me to her e-mail list and before you know it, I received a call for artists e-mail for the Colorado Vibes Vol. 2 show. I immediately responded with samples of my work and secured my spot. I was THRILLED. Was this really happening? Was I really going to be showing my work? Yes! So here I was, a couple of weeks out from the show and about to fly out to Copenhagen with Adam. Ahh!!! 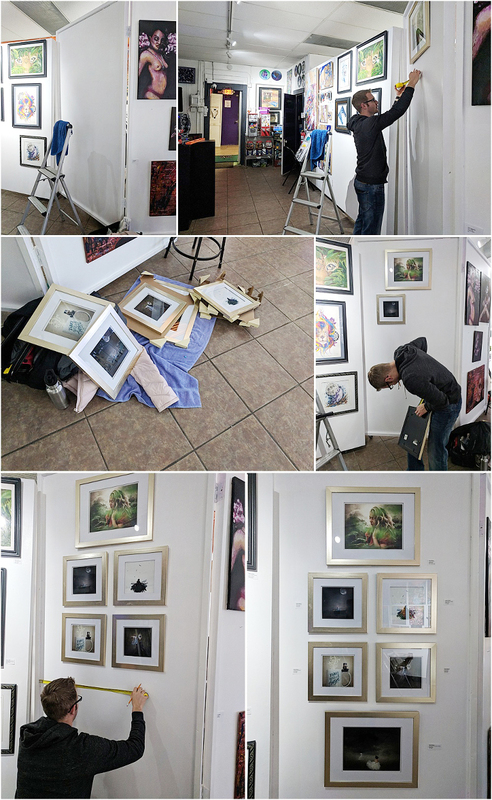 It was time to run around, find frames, order prints, cards, bookmarks, etc. 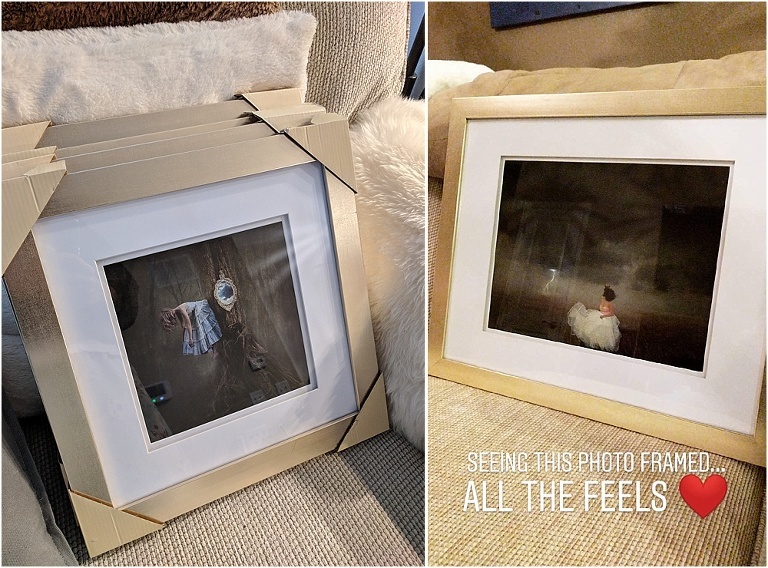 Everything fell into place just fine and as I framed my images in these amazing gold frames, I couldn’t help but get a bit misty eyed. You see, creating art again began as something that I did just for fun. But, the more I created, the more and more I wanted to see where it took me. After last year’s Promoting Passion Conference in New York, something in me ignited. I was not only inspired but deep in my heart I KNEW this is the road I was supposed to take. After all, my degree is in Art and creating from the heart is something I know all too well but had somehow buried in the depths of my soul for the past 11 years. After graduation I just had to get out into the world and explore. I fell into the trap of “adulting” as I call it. “I must get a full-time job in an office, make a good salary and just be happy with that.” But that is not me. That has never been me and that is the hardest part for me to come to terms with. When I joined iHOMES COLORADO, it was different. I had the opportunity to create and innovate. We were pioneers of our industry and that is what I love the most about working there. I loved having the freedom to work full-time but use all of my talents to create a position that only in my dreams I thought would be possible. During these past (nearly) 3 years, I have grown as a person and learned to believe in myself more. I have learned to accept myself and see my worth. Of course, I have also learned a million other things (such as the intricacies of the Colorado Real Estate market and how misinformed the public is – speaking from personal experience here!). Some of the most important lessons I learned had to do with planning, being disciplined and creating a schedule. These are all valuable lessons that I never had when I was in business before. I wake up at 4:30am Monday through Friday to either work on my art, personal goals or workout. This time has been my personal sanctuary and, in part, the reason why I am seeing much success in the things that I am creating. People think I am crazy (actually, you probably think that too) but in life, you just have to do the things you don’t want to in order to be better. You just have to. To give you an example, when I was in college, my dad used to call the house at 12pm to wake me up and tell me to get going. I hated it. I couldn’t understand why I couldn’t start my day at 2pm. For some people this works and they are effective. For me, my most creative hours are in the wee hours of the morning. I have woken up at 3am before inspired to write or create so this is why I wake up so early. It also makes me feel GOOD to be so disciplined in doing something that I never used to do before. One of my favorite quotes ever is, “If you want something you’ve never had, then you’ve got to do something you’ve never done – Thomas Jefferson”. Basically, you cannot keep doing the same things and expect a different result. This is why I am so adamant about my wakeup time, working out and making time for myself every morning. So where am I going with all of this rambling? Well, in the book I am writing, I talk a lot about following your heart. And I cannot preach following your heart if my heart has been pulling at me to leave iHOMES COLORADO and give it my complete ALL to my art and creative endeavors. So, with that being said, I have decided to resign my amazing job at iHOMES COLORADO. Yup, I said it. This amazing company has been such a huge part of my life and they have given me all of the tools to make this work. So what do I plan to do? So many things but most importantly, to continue to create images. I plan to license them, sell prints, teach classes, and write a book (which I am already doing)! I plan to invest more time in learning and making this a lifetime career (forrealz this time). This was a bittersweet moment for me because I love everything about my team, I love everything that we stand for, I also truly enjoyed the work I did. But, something in me was just pulling harder and harder. I contemplated a lot on my feelings to make sure it wasn’t a fluke or low period. It wasn’t. It’s no secret that I light up with my art and being involved with it. So, I am very excited for this next chapter now. These next couple of weeks will be crazy busy with setting my team up for success as I transition out of my role in June as well as two more art shows! Yup! Two more! I will be at RAW Artists Denver show “MAGNIFY” and “420 After pARTy” at Spectra Art Space. My sincerest gratitude to EVERYONE involved in helping me get to this point in my life. I am not alone, I am not self-made. I am made of everyone who believed in me and encouraged me to see my worth. Thank you <3 I look forward to seeing you at the two shows above. The reception was AMAZING. It was buzzing with energy and so many people. I was floored by all of the support we got from so many people! I am especially grateful to my husband, my friends and co-workers for coming out to support me. Thank you so much for making this special night such a huge success!!! 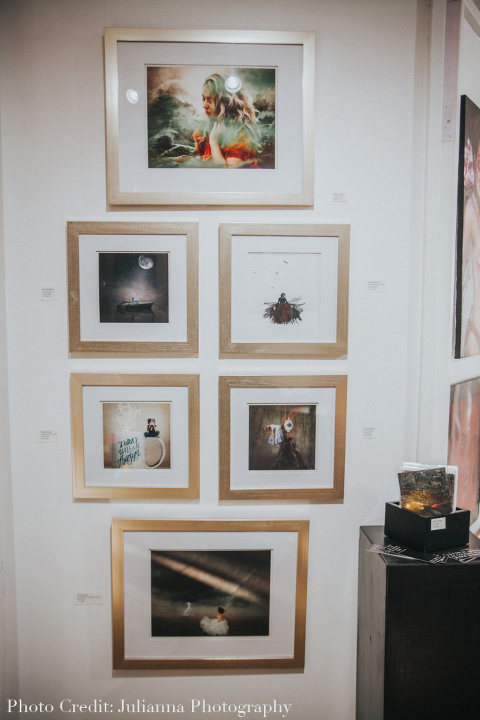 Looking forward to seeing many more familiar faces at the closing reception on April 15th from 3pm-7:30pm at Spectra Art Space. A BIG thank you to Denver Westword and Julianna Photography for taking so many amazing photos!